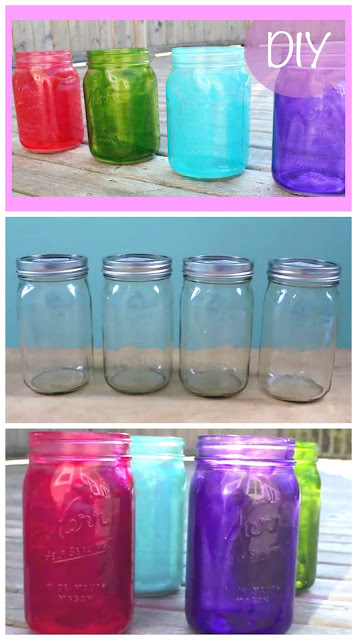 These gorgeous tinted mason jars are super easy to make and you will become addicted to making them in no time. They are perfect as decorative pieces, vases or as containers to give gifts in. You will need: Mason Jars, colored Mod Podge, plastic bowl and paper towel.